Headlines, hot news, and conversation starters on August 10, 2016! 1 Freaking out! Our childhood loves, the boys of *NSYNC, had a mini-reunion of sorts and snapped a glorious photo to prove it. 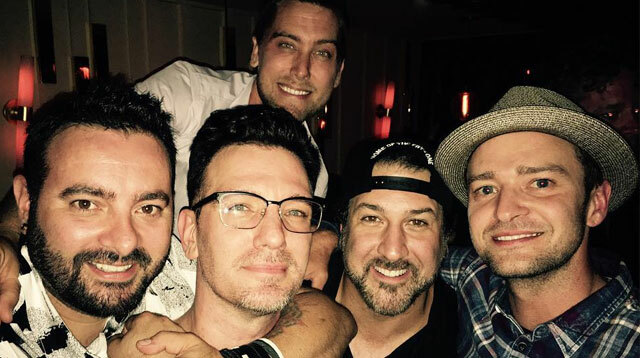 Justin Timberlake shared the photo of him and his former bandmates gathered at JC Chasez’s 40th—YUP—birthday with the caption: “JC's 40th... And, if you don't know now you know...” UGH. We love these guys so much! BRB, listening to “Bye, Bye, Bye” now. 5 Welcome to Instagram, Tom Hiddleston! For his first post, he shared a selfie of him donning his Loki costume, natch. We wonder, does dating millennial queen Taylor Swift have anything to with Tom’s new venture into social media? Probs! Whatever the reason is, we're welcoming it with open arms because who wouldn't want to get regular updates from him? !